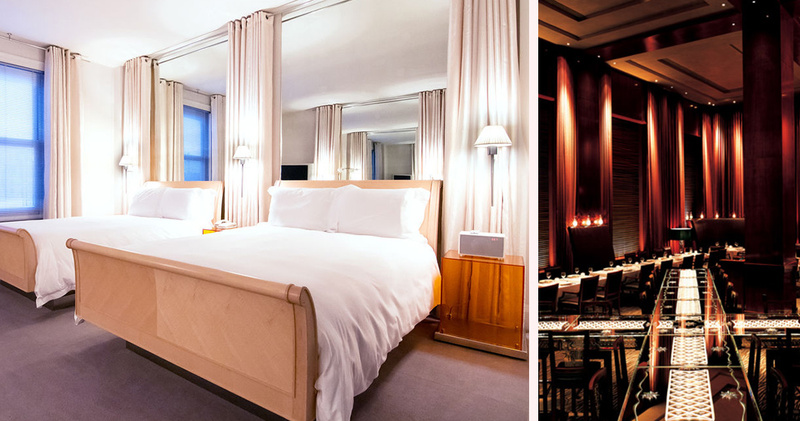 The Clift San Francisco is a luxury boutique property that manages to beautifully combine old-world elegance with contemporary glamor. Clift is located in the heart of San Francisco, steps away from neighborhoods like Nob Hill and attractions such as Fisherman’s Wharf. 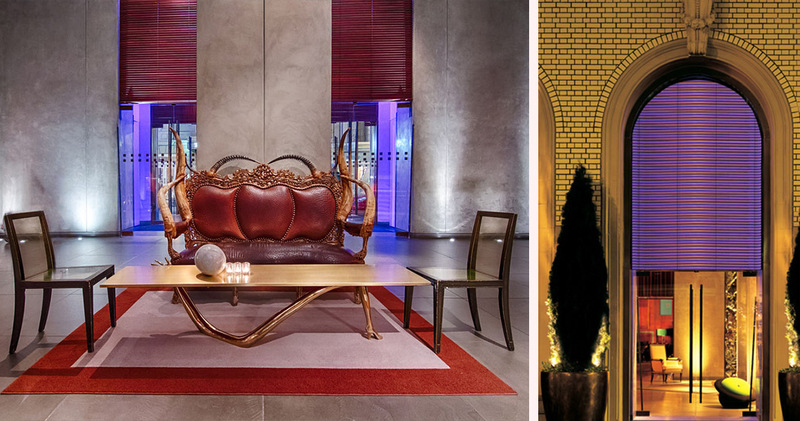 This luxury boutique hotel has an elegant mix of contemporary and old-world with a beautifully designed lobby by Philippe Starck. The lobby features soaring high ceilings, wood paneling and exquisite furniture pieces including chairs from Ray and Charles Eames, a coffee table by Salvador Dali, and a surreal stool inspired by René Magritte. 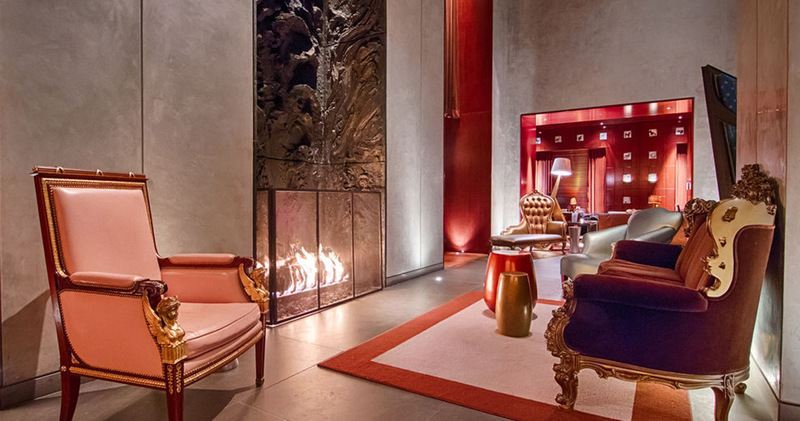 Just off the lobby is the Living Room, designed to resemble an English Club with wing chairs, velvet sofas and a collection of black and white photographs by Jean-Baptiste Mondino. 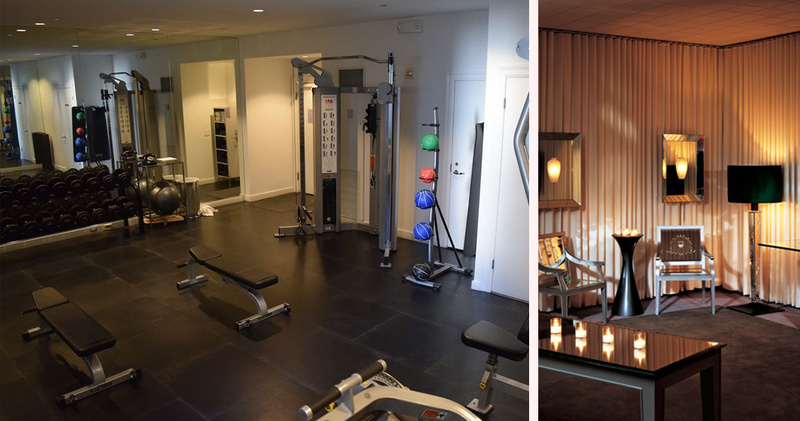 Guests at Clift San Francisco also have access to complimentary bikes. 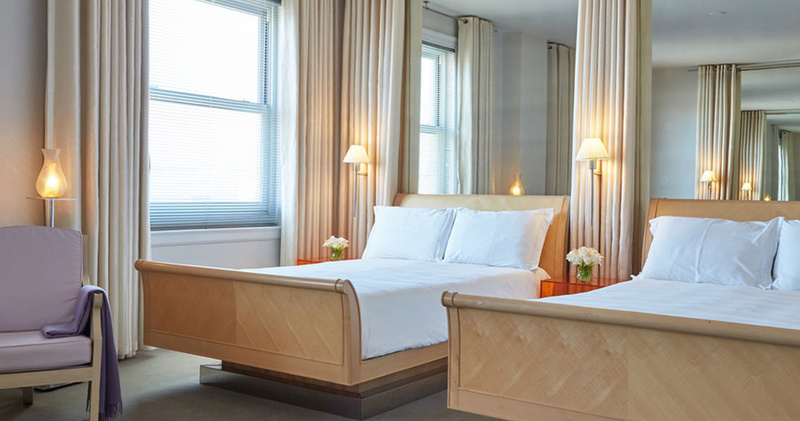 The guestrooms at the Clift are designed to be trendy, spacious and inviting. The decor includes a soothing color palette with neutral colors and pops of vibrant accents. 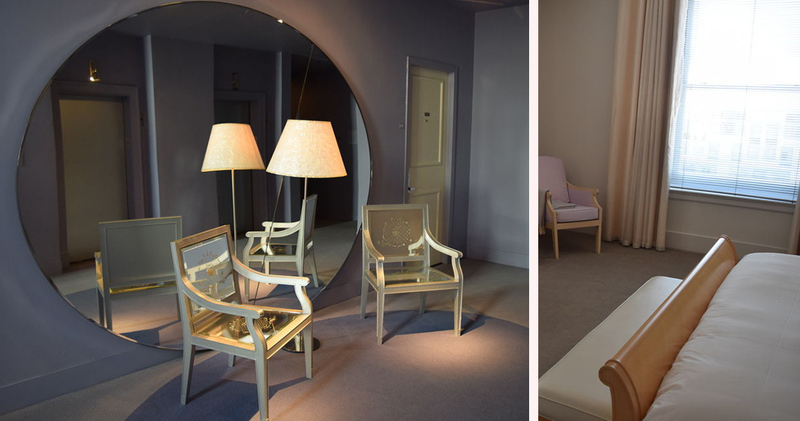 Guestrooms include beautifully designed furniture like whimsical chairs that resemble a wheelbarrow, a purple armchair and a Starck-designed custom English sycamore sleigh bed. 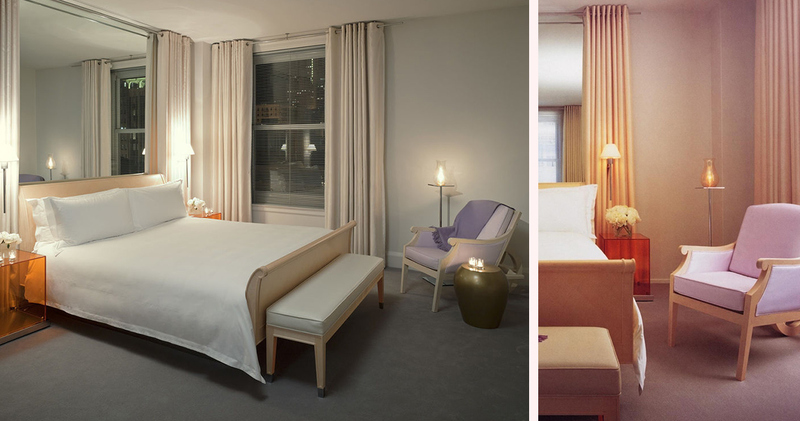 Beds feature luxurious percale 300-thread count bedding, plush Merino wool blankets and down duvets. 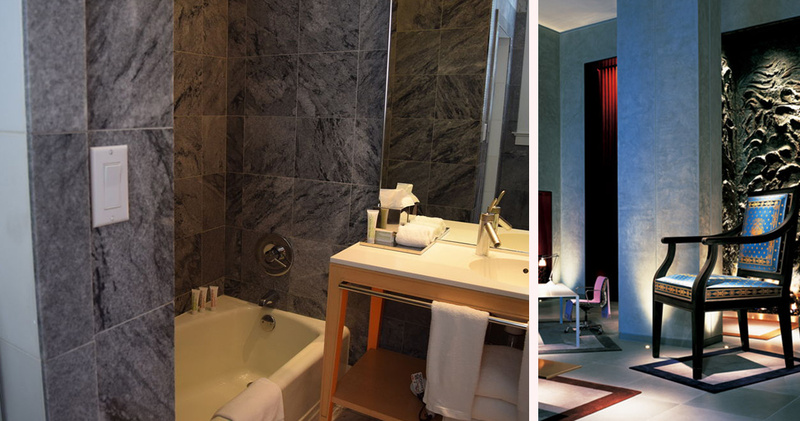 The bathrooms at Clift San Francisco are open, airy and bright with modern finishes and luxurious Malin + Goetz bath amenities. 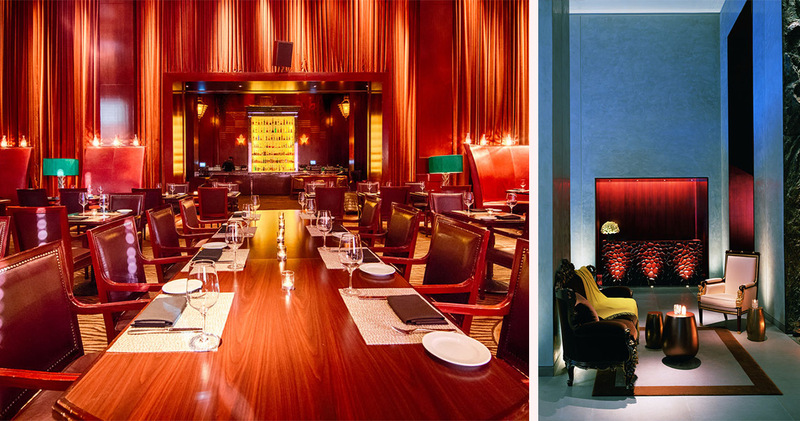 Redwood Room at Clift is an elegant and refined bar. 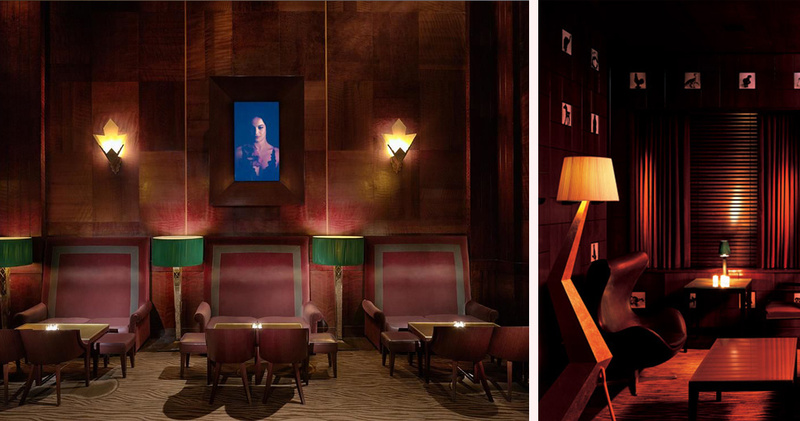 The bar features original redwood paneling, lounge furniture, a large bar and digital artwork. The restaurant serves classic cocktails and small plates. 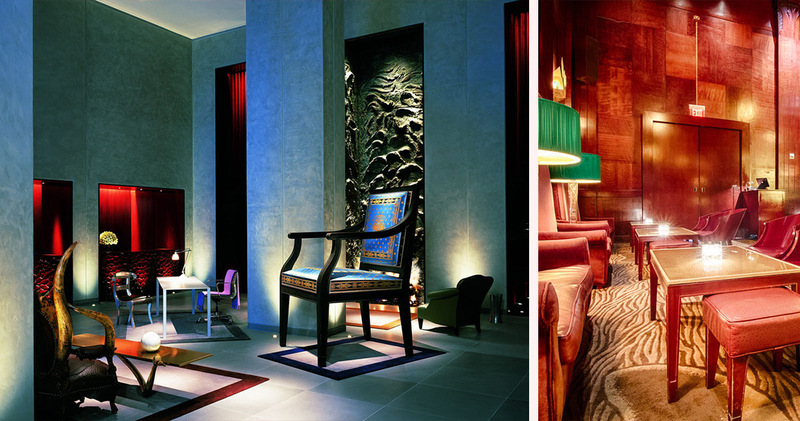 The Velvet Room is a dramatic space with leather and mahogany banquettes and Murano lamps. The restaurant serves breakfast items created with locally grown, organic ingredients.